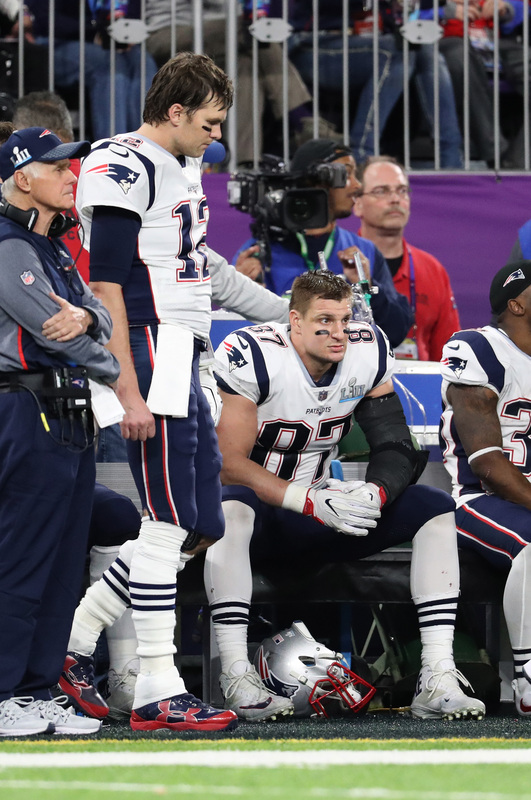 The absence of Tom Brady and Rob Gronkowski at Patriots OTAs caused a stir this week, but owner Robert Kraft does not seem concerned. Kraft says Brady is excited about being at minicamp, as Ian Rapoport of NFL.com tweets, which is an apparent confirmation that he will be in attendance at some point. Kraft says Gronkowski will also show for minicamp, despite rumblings of the tight end angling for a new contract (Twitter link). Kraft’s assertion that Gronk will show up for practice jibes with a recent report on the tight end’s plans. It stands to reason that the dynamic pass-catcher could arrive as early as Thursday, which is the one-year anniversary of his last contract restructuring. Per NFL rules, a deal involving incentives cannot be reworked until one year after the last round of adjustments. Brady’s decision to skip OTAs is unprecedented, but it may not be a hinderance to his performance after yet another brilliant season. Even at age 40, Brady was terrific, leading the league in passing yards on the way to his third MVP trophy. Gronk, meanwhile, had 69 catches for 1,084 yards and eight touchdowns. If McDaniels had left, sure it would be newsworthy. But he spurned the Colts, it’s business as usual. Should’ve traded both and kept the g man. Now you’re stuck with two whiny asshats…One that could screw the organization by walking anytime the coach yells at him, the other is just a dolt, a good one, but sentence structure and making his point are not his strong suits. Hey, I’ve got a great idea. Let’s teach all the other Patriots how to get a big raise. 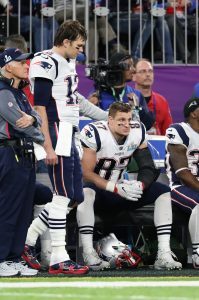 We’ll just reward bad behavior by primadonnas Gronk and Brady and restructure both their contracts for skipping OTAs.